Listening to the stories of those who have joined the growing ranks of high-quality producers, I realized that achievement of their objectives often corresponds to a self-realization. When I talked to Francesco Le Donne about his success at the NYIOOC, I discovered that he started to produce Villa Pontina after years of doing something completely different that seemed to take him elsewhere. After he graduated in finance at Bocconi University, he worked and traveled the world for a few years, taking advantage of nautical knowledge that allowed him to cruise the Caribbean. “After months away, I came back to Sonnino to spend a period with my family until Christmas,” he recalled. “I stayed in the house that my grandfather built next to the olive grove, and since it was harvest time I helped pick olives. This made me remember when I was a child and I used to do it with my grandmother,” he added, describing how, in the past, men did the hardest work like pruning, and women harvested, often taking children with them. “Then, I brought the olives to the mill with my uncle Lucio Pontecorvi, and from that moment I stayed,” said Le Donne, who from that moment started studying everything from farming systems to tasting. 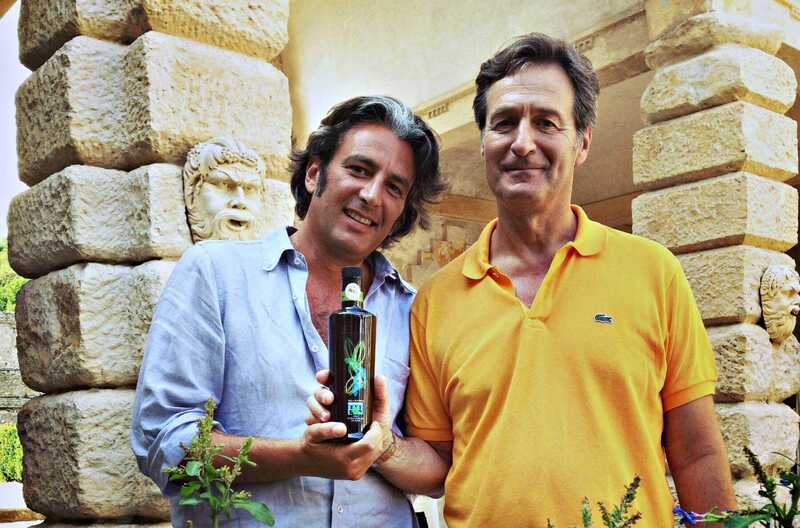 Now Villa Pontina produces an excellent extra virgin olive oil from trees of the Itrana variety grown by the sea. A recent conversion to biodynamic methods showed great results with the last production, that we had the opportunity to taste early this season. Listening to the stories of those who have joined the growing ranks of high-quality producers, I realized that achievement of their objectives often corresponds to a self-realization. The ‘extra virgin peace of mind’ is particularly noticeable in those who changed their lives with a personal revelation that found its optimum expression in the olive grove. Something similar happened to a guy I met when he worked as an assistant to a member of the European Parliament in Brussels. Then, he was employed in the office of a member of the Italian government, and finally got a position as an official in the Minister of Agriculture. Giovanni Andrea Panebianco was at the peak of a brilliant career in institutions which most people only dream about when one day he took off his suit and tie and left everything behind. “Two years ago, I woke up and I said to myself: ‘I’m not made for this,’” he revealed. “I acquired a farm that belonged to my mother and my aunt and I moved to Tuscany. I went from a life spent in the muffled corridors of power to something of my own completely different.” So, at La Collina, in Bucine, between Arezzo and Siena, Panebianco manages the property and its agricultural activities, especially those in the olive grove. 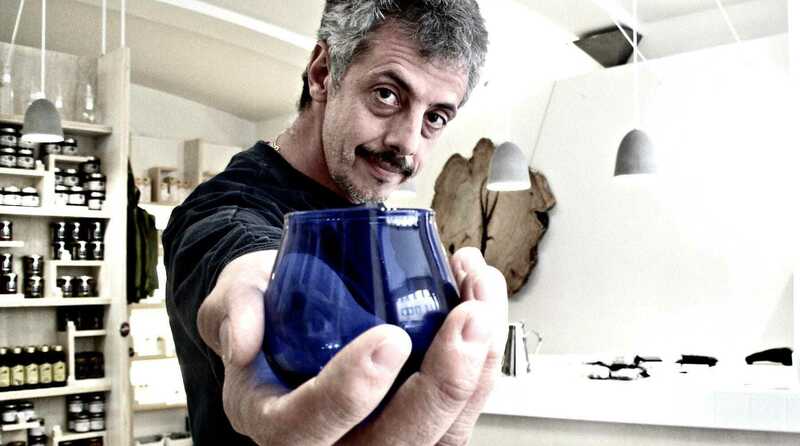 “Now I work much more, but I don’t think of this as a job because it is something that I love,” said Panebianco, who obtains a small production of very good extra virgin olive oil from fifty plants of Frantoio, Moraiolo and Leccino. “My family has always made oil and I am just continuing their activity paying attention to quality,” he observed, mentioning his ambition to extend the plantation. Just three years ago, a few months before the introduction of Oro of Giano, which means Gold of Janus, Claudia Pompilj was an expert in marketing who said he worked 24 hours a day, 7 days a week. “I have to say that my personal story with extra virgin olive oil began thanks to my father Martino, who was a lawyer but also managed the farm which I run today,” she said, pointing out that the spark of change which drove her back to her roots, after years working in another sector, happened a couple of years ago during an inspiring dinner at La Trattoria di Oscar, in Bevagna. The following season she jumped in and, relying on her professional background, she developed the communication strategy for her new product from the 160-hectar (395-acre) farm in Giano dell’Umbria. Arable land and forest flank 10 hectares (25 acres) of native olive varieties, including Frantoio, Leccino, Moraiolo and Sanfelice, used to produce the PDO Umbria Colli Martani, and others such as a rare Tendellone. “Since we previously sold the olive grove products wholesale, I wanted to make a qualitative leap starting from EVOO,” Pompilj explained. “I began from what I knew best, that is the image creation, and I took the next steps humbly and eager to learn.” In the company name, the “gold” comes from the country products used in the past like a currency, while Giano is not only the place but also the Italian translation of Janus, the two-faced Greek god of beginnings and transitions, doorways between the past and the future. Through this concept, she recognized herself and her father, whose profiles now compose the brand. “My almost 9-year-old son Simone already collaborates with me, explaining to customers the features of our oils and how to taste them,” she noted. “I usually don’t like to expose myself, but I’ve put my all into this new life plan. In my previous job I worked a lot, and that’s what I do now, but in a completely different way,” she concluded while we were tasting the exquisite Basilio, named after her uncle who was a Cardinal, evoked by a vivid red label. Maybe it happened because he was born in Salento and olive oil is a genetic question, he, amused, describing how in Puglia EVOO aromas and tastes are an integral part of life. “Moreover, my wife is an agronomist and when I decided to open a shop, focusing on something noble, precious and pure, it was natural to think about extra virgin olive oil,” he said.